Venus enters Libra (August 6 – September 9) and the course of magnetism, affection and feminine perception begins to focus on harmonizing and balancing relationships, marriages and friendships. Through dealing, compromising, and attempting more sensitivity to others, living with and showing affection to those with whom we have chosen to be, becomes the focus of this time. Venus in Libra trine Mars in Aquarius (August 7 – August 14) brings love in action. Committed, loyal and reliable expressions of affection will bring very determined and meticulously devoted interactions between loved ones. Venus in Libra is square Saturn in Capricorn (August 9 – August 19). It may be difficult to engage in pleasures, romance or to adequately protect the ones you love, particularly when complex obligations and responsibilities are involved. It may seem as if something is always getting in the way of basic pleasures. No matter how much one prioritizes a focus on love, it is still likely to be misinterpreted on some level during Venus square Saturn. Mercury in Leo is square Jupiter in Scorpio (August 11 – August 17). With this aspect, it is best to beware of negative views that discourage prosperous growth, as deceptive words, lies – and even the truth – are easily misconstrued on a much larger scale. During this aspect, it may be best to hold off on a job request, asking for a raise, or signing any binding contracts concerning long term investment and payment schedules. New Moon in Leo which also happens to be a solar eclipse on August 11 is a time of personal discovery. Leo is the optimist, and the New Leo Moon brings positive new perspectives to personal goals, as well as inspiring a fresh outlook on one’s image. Image comes from within and is generated by the sheer magnitude of one’s will. Everyone has room to grow if they take the time to apply self-worth, self-respect and discipline. Aries: This week’s solar eclipse might bring up the following questions. How much joy is in your life? How authentically are you living? Is your life a good match for your soul? While this eclipse could certainly inspire you to have more fun, its broader message is to be true to yourself, march to your own drumbeat, and start spending more of your days in a joyful state. It is difficult to do that when you work a job that merely pays the bills, are in a relationship that doesn’t feel right, or have friends who don’t bring out your best qualities. This is a good opportunity to identify what you want rid of so that you can feel more carefree. Taurus: Whatever you are trying to build or create, the solar eclipse on August 11 (alongside Mercury retrograde at the base of your chart) is a strong reminder that you must first make sure that the foundation is sturdy. This eclipse could represent a turning point in your life, so don’t rush blindly ahead. First, clear a space, and then make sure you have the right tools for the job and that your ideas and plans are rooted in reality. Gemini: The solar eclipse on August 11 is likely to lead to either a nervous breakdown or an amazing insight. From meltdowns to revelations, there is a huge amount of energy in your mental area, so joking aside, this is a good time to be still. Get yourself out into nature where the greenery can ground you, which is what you’re likely to need in this rather hectic week. Once you’re grounded, you should receive important insights so it will pay to ground yourself on the days around the eclipse. It could also help to see where your attitude might sometimes let you down and how a more positive approach will improve your affairs accordingly. Cancer: Money is the most common topic to cause arguments and disputes. More people fall out over money than anything else, and as a solar eclipse falls in your financial zone, it brings an opportunity to get this area of your life on a much healthier footing. Whether you hanker for more, or whether people are bleeding you dry, it’s time to put money in its rightful place. The right place might take a bit of figuring out, but if there is any kind of imbalance here – tension or issues – the eclipse will help you figure things out. Some useful points to consider on your journey to financial wholeness and new beginnings might include that you have a right to what you feel is your worth. This isn’t just limited to money but how people treat you in general. Leo: The solar eclipse on August 11 brings a turning point in your life, and if you can spend the days leading up to this eclipse considering what needs to be brought to a close, you will be better able to capitalize on the new beginnings that are likely to come. At the same time, Mars slips back into your zone of health and work, so maybe one or the other is key to focus on in terms of making changes. Life may seem challenging at present, but this eclipse will likely bring a change that enables you to forge a new path. In short, this is probably a time when you will feel called to sort your life out – from changing your appearance to overhauling your diet and lifestyle to becoming more organized at home or work. Whatever the issue, this is a good week to remind yourself that change is good. Virgo: This week’s solar eclipse on August 11 appears in your zone of soul and spirit. You are being blessed with the opportunity to receive glorious insights and impressions from your higher self, so if there’s anything you need to know, petition the gods, the angels, or your inner wisdom and the answers will come to you more clearly and rapidly. You might also feel inclined to closure, as this eclipse carries a sense of endings. Releasing things that have had their time is advisable now; allow a door to close knowing that one better suited to you will open soon. Libra: The cure to any inner or external discordance is to get out and about as a solar eclipse occurs in your social zone on August 11th. This paves the way for forming new connections or for being presented with an opportunity. Opportunities under a solar eclipse are usually significant, so they should be embraced. Don’t expect everything to stay the same in your relationships, as this coulde be a time when people enter or exit your life. Beginnings or endings with groups and organizations might also be in the mix, but these should mainly be positive, and any endings should be viewed as necessary for your growth and development. It’s important to remember that changes in the aforementioned areas are reflections of your shifting vision of your future, so a friend or a group coming or going is symbolic of the fact that you are changing and that a new future is in the cards. 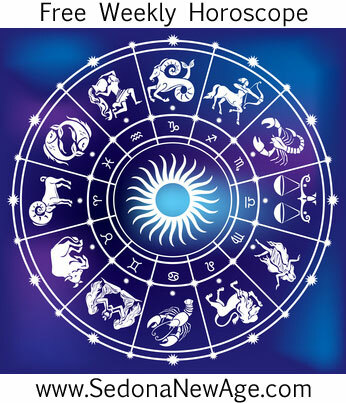 Scorpio: The potential with your career and direction in life begins to take shape under a solar eclipse at the top of your chart on August 11. Here is your opportunity to embrace a new beginning or to welcome closure on something that has served its time. Expect changes in the professional arena or with your life purpose in general. Your sense of where you’re going in life should soon become much clearer, and you might get the first inklings of something new in the pipelines during this eclipse. In the extreme, this eclipse could indicate a turning point in your life, so prepare to embrace a new direction. Capricorn: As the solar eclipse occurs in your regeneration zone, it might help to see yourself as one who has passed but is now regenerated into a new you for you to welcome. This, of course, requires a certain element of courage, because it means that you will have to release the old you, but if the old you is in some way not functioning correctly and you’ve been tired, ill, weighed down or struggling to make progress in your life, then it’s probably a good idea to seize this opportunity to rejuvenate and emerge anew. Pisces: Expect a certain amount of activity with your health or work as a solar eclipse on August 11 brings change and new beginnings to these aspects of your world. This is a great time to take control of your health and examine your lifestyle. Maybe it’s time to change things at work. It won’t all be smooth sailing just yet, though. Mercury is still retrograding through the same part of the sky, but you should notice a shift or the chance to begin anew. Try not to be overly optimistic in terms of what’s possible, because realism will be more effective then promising the Moon and not being able to deliver. Although eclipses can be big events, more often they simply pave the way for change by sweeping out the old energies. If you can embrace this philosophy, you don’t need to move mountains; all you’ll have to do is remove the deadwood and clear a space for the new. Sun 01° Taurus 12' 23"
Moon 29° Scorpio 12' 25"
Mercury 05° Aries 38' 28"
Venus 01° Aries 07' 50"
Mars 14° Gemini 03' 15"